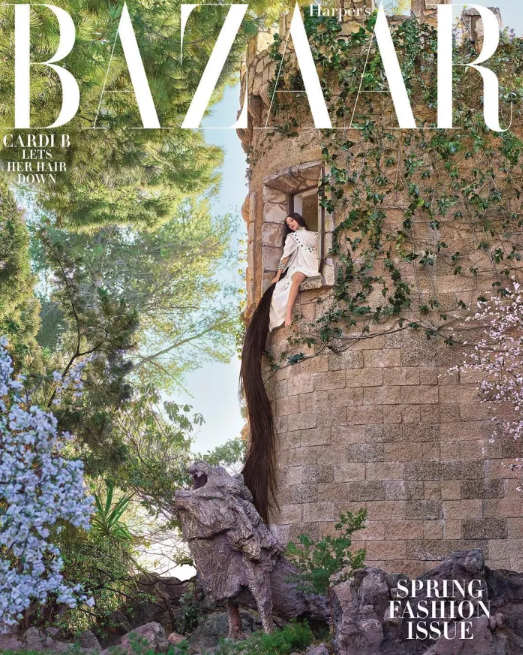 The 26-year-old half-Dominican American rap sensation graces the cover of Harper‘s Bazaar’s March 2019 issue. 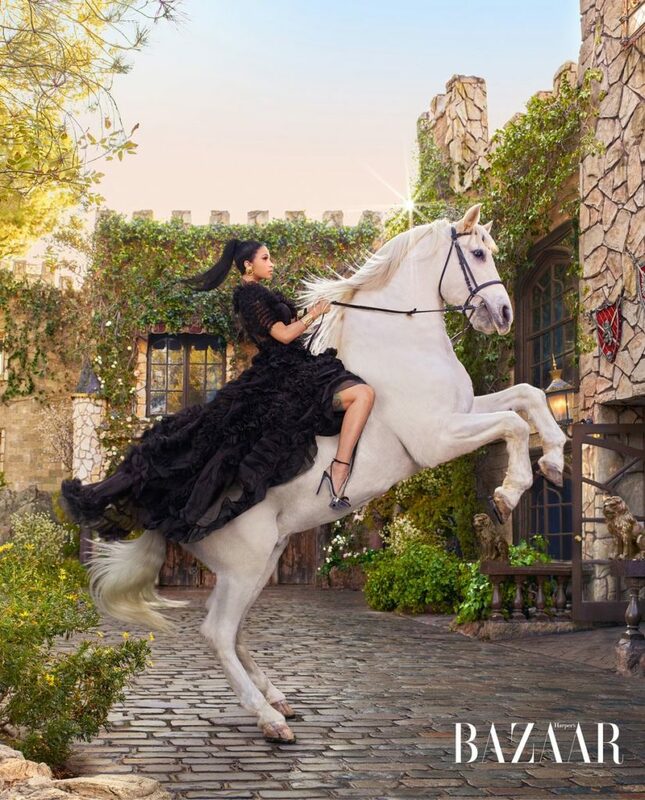 For the cover and accompanying editorial, Mariano Vivancophotographed the “Bodak Yellow” rapper in princess-worthy Vera Wang and Dolce & Gabbana gowns as she posed asCinderella and Rapunzel. Cardi B then opened up to Vanessa Grigoriadis about her own Cinderella story. “I feel like my life is a fairy tale and I’m a princess—rags to riches, people trying to sabotage,” she says. But she also complains fervently about being over the fairy-tale life and wanting peace and quiet. In the space of less than a year, Cardi B’s music, videos, and fashion have made her a global phenomenon. She followed up last summer’s “I Like It,” the first Latin trap song to rise to number one on the Billboard Hot 100, with “Money,” a song all about the dough. In the video, she wears gorgeous, including outfits referencing Thierry Mugler, a gold bikini inspired by 1990s Lil’ Kim’s, and a custom Christian Cowanbodysuit fabricated from dozens of actual watches. She’s a post-Kardashian American superstar, a master of selfies, belfies, late-night Instagramvideos, and all other manner of self-promotion— and also a creative genius.